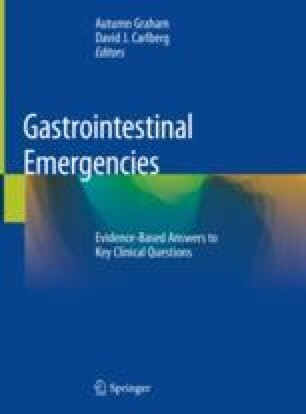 Emergency physicians frequently utilize computed tomography (CT) to evaluate patients with abdominal pain. Acute causes of abdominal pain may be difficult to diagnose based on history and physical exam alone, and CT imaging is the modality of choice for most etiologies. When ordering a CT, physicians must decide whether to utilize intravenous or oral contrast. It is important to understand the benefits of a contrast-enhanced CT and weigh this against the risks of the contrast medium. National Hospital Ambulatory Medical Care Survey: 2014 Emergency Department. Atlanta, GA: U.S. Department of Health and Human Services, Centers for Disease Control and Prevention, National Center for Health Statistics; 2017. Available at: https://www.cdc.gov/nchs/data/nhamcs/web_tables/2014_ed_web_tables.pdf. ACR Appropriateness Criteria. Reston, VA: American College of Radiology; 2017. Available at: https://www.acr.org/Quality-Safety/Appropriateness-Criteria.